Posted by Tantumblogo in awesomeness, Basics, catachesis, Domestic Church, General Catholic, Glory, Grace, Interior Life, Our Lady, religious, Saints, sanctity, Tradition, Virtue. 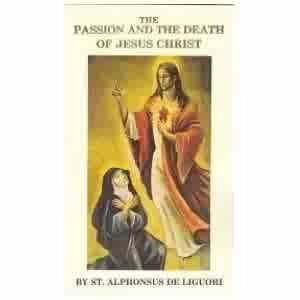 I’ve been posting a fair bit lately from St. Alphonsus Liguori. This great Saint was a most prolific writer. In his Ascetical series alone are over 30 volumes. 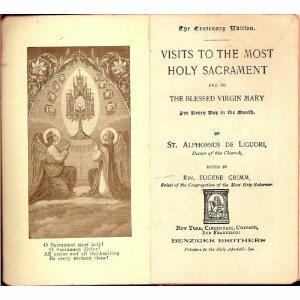 When I first started reading Liguori, totally by accident – I picked up a copy of The Holy Eucharist at Half Price Books – I didn’t know what I had. But I knew the translation was amazing and the content seemed unusually heavy hitting for a modern-day Saint book. 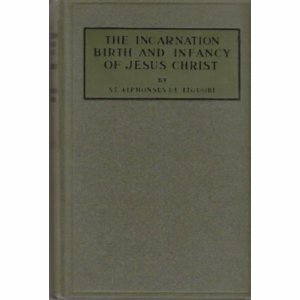 So, I’ve investigated and what I’ve found is that you really want a book that contains an unabridged version of the translations done by the incredibly dedicated Fr. Eugene Grimm CSSR in the mid-late 1800s. As I’ve mentioned in another post, these translations by Grimm from Latin/Italian were his life’s work. 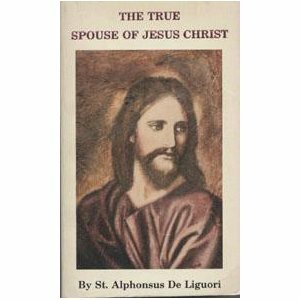 They are extremely accurate and are what you really want when you’re reading Liguori, unless you can read the original Latin or Italian. Unfortunately, there are a lot of modern, crummy, abridged and severely redacted versions around. These constitute the vast majority of what you will see in bookstores and online. You have to dig deep to find Grimm. On Amazon, I search the books by typing in “liguori grimm.” That does the trick pretty well, although I’m missing many volumes, yet. For instance, Vol. 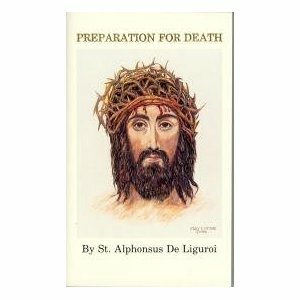 1 of the Ascetical Works, Preparation for Death. This is a seminal work, and the modern copies in print just don’t do it justice. You really want this version, of which only one copy is on sale at Amazon for almost $60. I’ll hold off spending $60 on a 40 year old mass market paperback, hoping a much cheaper copy comes up for sale. 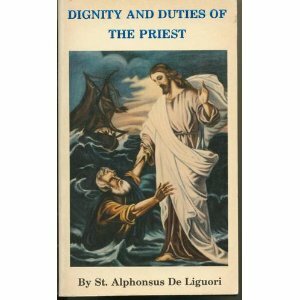 There are two versions of these Liguori books translated by Grimm – there are hardback copies produced in the 20s and 30s by the Redemptorist Fathers, and another batch of paperbacks produced in the 70s, primarily, by the same group, which is just a cheaper, paperback version of the books printed in the 20s and 30s. These books contain ALL the text by Grimm and have no removals, excisions, redactions, anything. To illustrate the difference between these preferred copies and the modern ones, Vol. 1 (Preparation for Death) in the Grimm version contains 457 pages, while Vol. 1 in the modern versions contain 130-150 pages. I don’t know what these modern, abridged versions are missing, and I don’t want to find out. 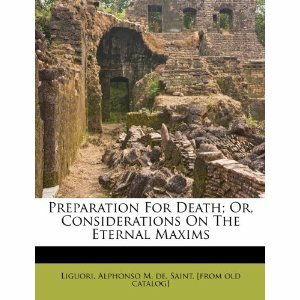 But I can imagine all the careful admonitions about death, judgment, and hell are largely removed, plus Liguori’s very flowing, almost poetic prose is probably butchered. Another thing to avoid is “publish on demand” books that purport to be the Grimm version but, from what I have read, have severe problems of quality and content. Some reviewers claimed these books are almost unreadable the editing is so bad. Those look like the figure on right. Below are some of the much preferred, Grimm versions with a link to their page on Amazon. Not all the links mean there is a book available, you’ll have to check. I pray this information proves useful to you! Perhaps you could load up a loved one with some awesome spirituality from the Moral Doctor this Christmas! That’s all Amazon has for now. Most are not too expensive. 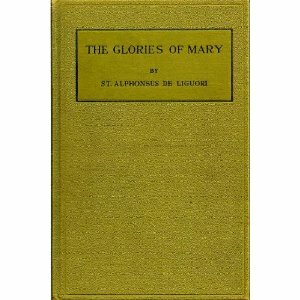 That last volume is actually not part of the ascetical works, but I’d certainly recommend it all the same, good St. Alphonsus had a terrific devotion to Our Lady! And She, of course, was very good to him. As She is to all of us! A good thing for Catholics to do is to build up a library of good, holy books! 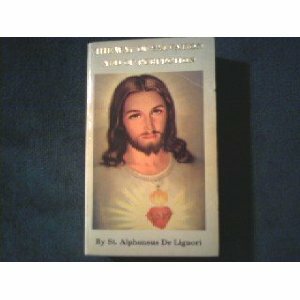 I pray these recommendations of books by St. Alphonsus helps you build yours! TY for this – I have put these on my Amazon wish list (and about the only time Amazon didn’t have recommendations when I did so -gee, I wonder why 😉 )!!! I would offer to anyone that I’d be willing to go half on a book, with the provisio that anyone I was “booksharing///buying” with, would get to ‘go first’ (with no time restriction!) because I smoke cigarettes. Jeannee – if you find more books not on my list, would you be so kind as to leave a comment on the “about me” page here or send me an e-mail at larryr103@gmail.com? If you would like I will add you to my Christmas nicotine cessation Novena. I have the same addicition, just smokeless instead. I see some scanned copies of Grimm translations that have been posted online in digital libraries. So one might try locating and reading them that way; or these would be excellent candidates for translation into Project Gutenberg e-books, if a person could get the project started via a group like Distributed Proofreading (http://www.pgdp.net/c/), which takes scanned books, runs OCR on them, and then carefully proofreads and formats them (this last being the crucial, labor-intensive step omitted by the producers of the crummy print-on-demand volumes you refer to).